Account properties are custom properties that your organization's admin creates that allow you to store information at the Account level, rather than tied to a specific lead, opportunity, etc. on a List. 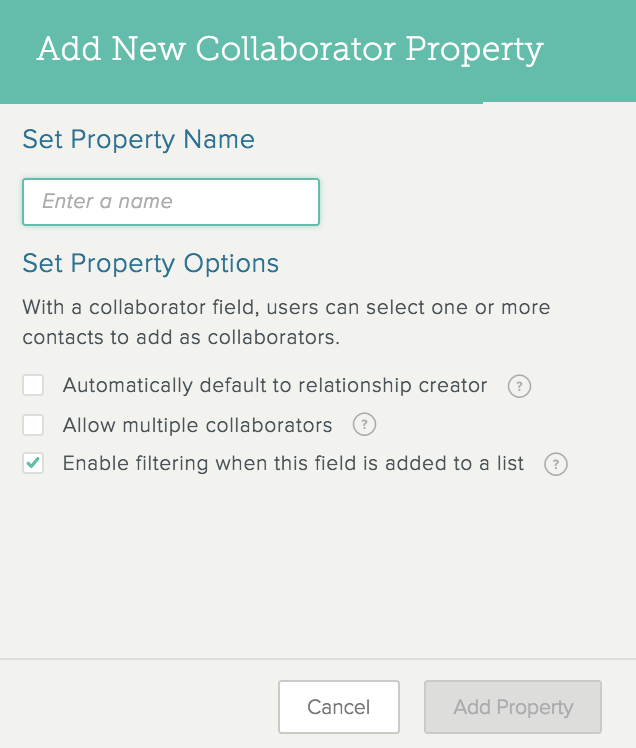 You can view, fill out, and update these properties on Lists, so your collaborators can easily access them throughout the workflow. 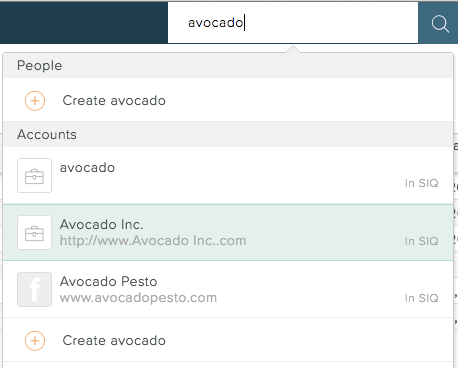 By using Account properties, teams can maintain these details without worrying about updating multiple Lists. And because these fields are customizable, you can be sure whatever Account-level information you need is easily accessible. Account properties differ from Company properties in that Company properties are set pieces of information that we pull from various sources on the web. You can't edit Company properties. Account properties, by contrast, are created by admins and can be edited and customized. Account properties are available for account-based Lists only. Some Account property features are available to admin users only. Learn more about them here. For more information on Organization admins, including how to tell who yours is, see here. Other Account property features are available to all users. Learn more about them here. Note: If your Account Property field isn't appearing in the Grid, or you can't copy and paste information into the Account Property field, see our troubleshooting article. Account properties are custom properties that your Organization's admin creates that let you store information at the Account level, rather than tied to a specific lead, opportunity, etc. on a List. You can view, fill out, and update these properties on Lists, so other users can easily access them throughout the workflow. Learn more about Account properties here. 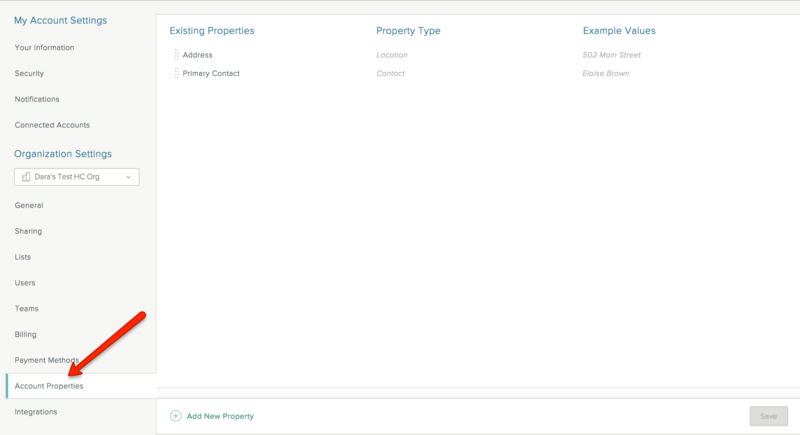 After an admin user creates an Account property, any user can add that Account property as a field in the Grid. Scroll to the end of the Grid and click Add a Field. 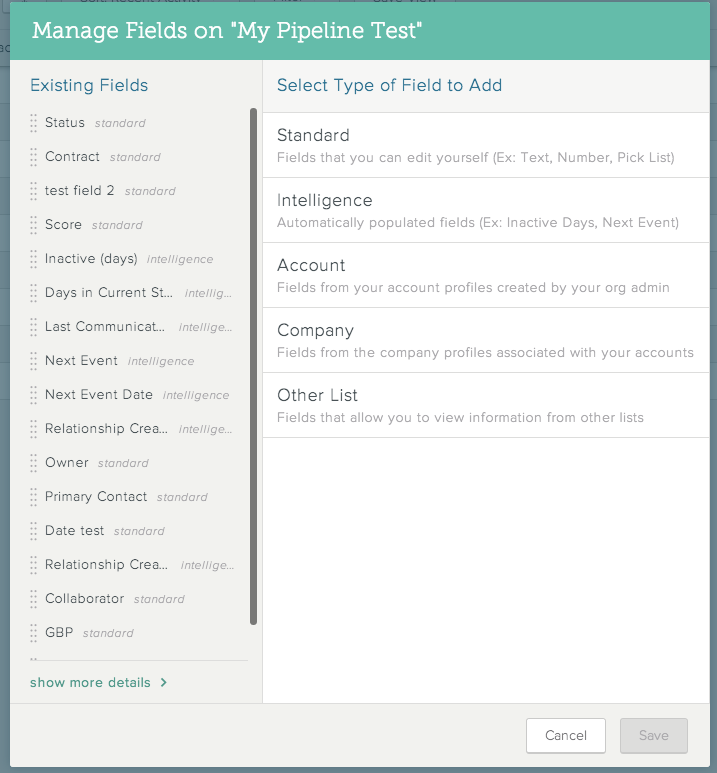 On the screen that appears, select Account as the field type, and then select from the options that appear. On the Account Profile screen, scroll down the Account Details section. Click inside any field to edit the value. If the Account property has been added to the Grid view of a List as a field, you can update the Account property from the Grid view just as you would any other List field. With the List open, click the Grid icon to display the Grid view. Click the header for the Account property field. On the drop-down menu that appears, click Edit Field, and then edit the value. 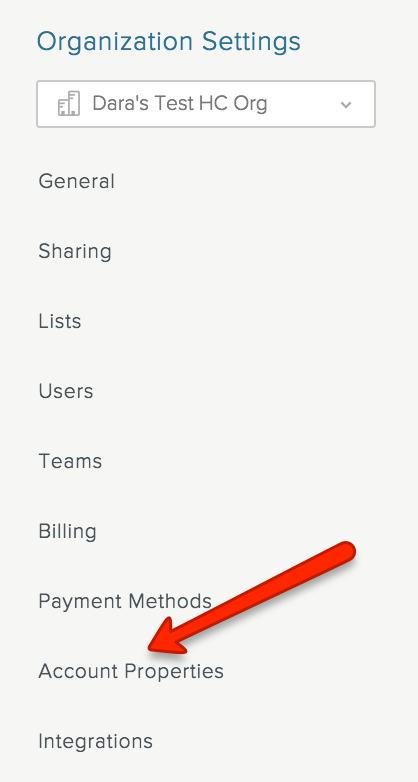 Note: Some Account property fields don’t have Edit Field in their drop-down menus. Note: Any changes you make to an Account property from the Grid are reflected on the Account Profile page and on any other Lists where you've added this property. 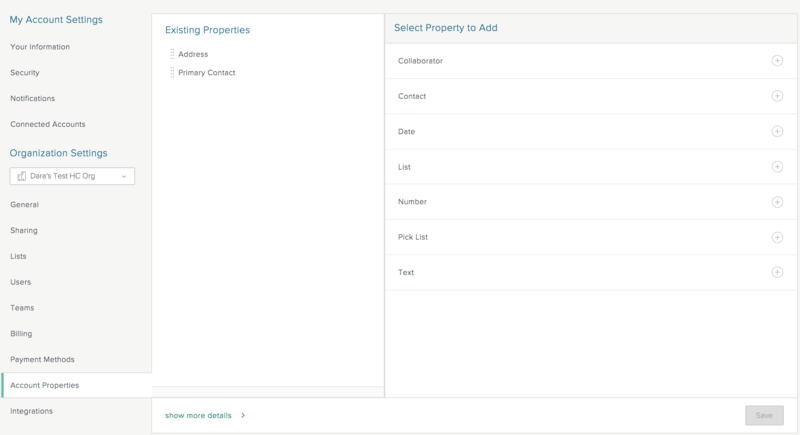 Account properties are custom properties that admin users create that let you store information at the Account level, rather than tied to a specific lead, opportunity, etc. on a List. You can view, fill out, and update these properties on Lists, so other users can easily access them throughout the workflow. If you're an admin for your Organization, you can set custom Account properties by going to your Organization settings. On the screen that appears, click Account Properties. Click Add New Property and select the property type you want to add. Enter a name for the property and set any property options. Click Add Property, and then click Save. Only Organization administrators for a given SalesforceIQ Account can update an Account property name or type, or delete an Account property. To reorder Account properties: Click and hold to the left of a property name and drag it to a different position in the list. To edit an Account property: Highlight the property, click next to the property name, and enter the updated information. To delete an Account property: Highlight the property and click next to the property name.